Mrs. Elizabeth “Betty” Stefanski, 88, of Salamanca, New York died early Sunday morning, February 14, 2016 surrounded by her family. Born October 18, 1927 in Rochester, New York, she was the daughter of the late Frederick and Helen Scott McCaffrey. 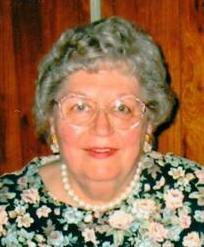 She was married on January 18, 1958 in Rochester, New York to Mr. Henry Stefanski, beloved husband of 58 years. Mrs. Stefanski was employed as a Court Attendant for over 26 years with the NYS Workman’s Compensation Board in Olean, New York. Previously, she had been employed with the New York Telephone Co. as a chief operator for 15 years in Salamanca, New York. She was a member of Our Lady of Peace Parish, a former member of ZONTA, and past president of the Salamanca Lionettes Club. She loved spending time with her many good friends and neighbors on Liberty Street. A loving mother, she raised four children with her husband, Henry. Surviving are: two daughters, Laurie (Michelle Hamilton) Stefanski, Rochester, NY, Sheila (Emo) Monterastelli, Southborough, MA; two sons, Stephen (Tammy Bills) Stefanski, Walworth, NY, John (Cyndy) Stefanski, Salamanca, NY; two grandchildren, Morgan Bills, Walworth, NY and Matthew Bills, Athens, GA; a sister-in-law, Florence Woodarek, Salamanca, NY; several nieces and nephews. The family would like to offer special thanks to the staff at Absolut Care of Salamanca for their compassionate care. Friends may call at the O’Rourke & O’Rourke Inc. Funeral Home, 25 River Street, Salamanca, New York on Tuesday, February 16, 2016 from 9:30 – 11 a.m., at which time funeral services will be held with Deacon Michael Anderson, Our Lady of Peace Parish, officiating. In lieu of flowers, the family suggests memorials to the American Cancer Society or the American Heart Association.